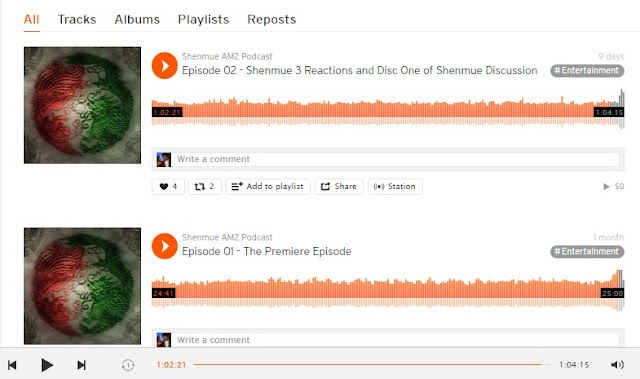 A new podcast series called the Shenmue AM2 Podcast has recently started, with two episodes released so far. 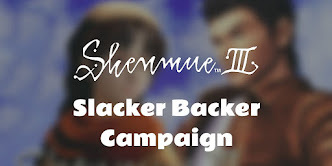 The podcast hosts are Andrew Letson and Matt Humphrey (their initials forming the A and M of "AM2"), two Shenmue fans and Kickstarter backers from Canada, who share their memories, opinions and humorous anecdotes about the Shenmue series. Episodes 01 and 02 are out now. 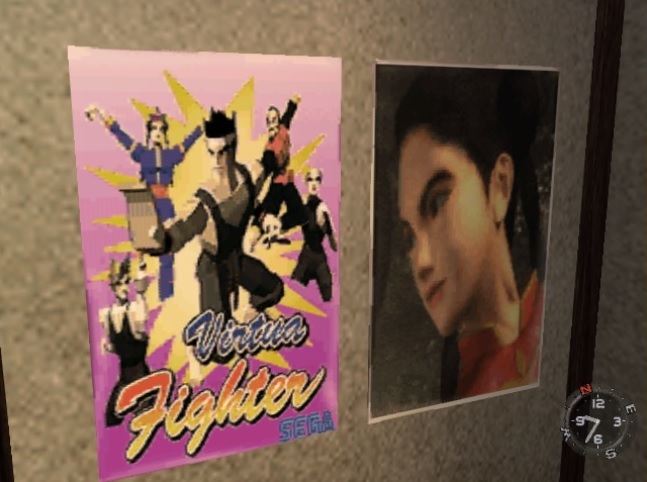 In Episode 01, a shorter episode of 25 mins, the guys introduce themselves and talk about the time they first played Shenmue and what it was that drew them to the game. 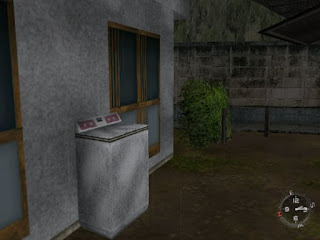 Behind the commentary, selected tunes such as the Bob's Pizza theme play in the background for added atmosphere. 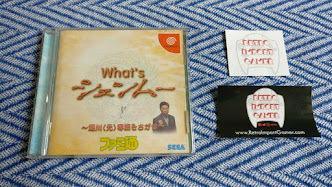 I found myself keeping an ear out hopefully for the Tomato Mart song - I wasn't disappointed as it turned up later in the podcast. 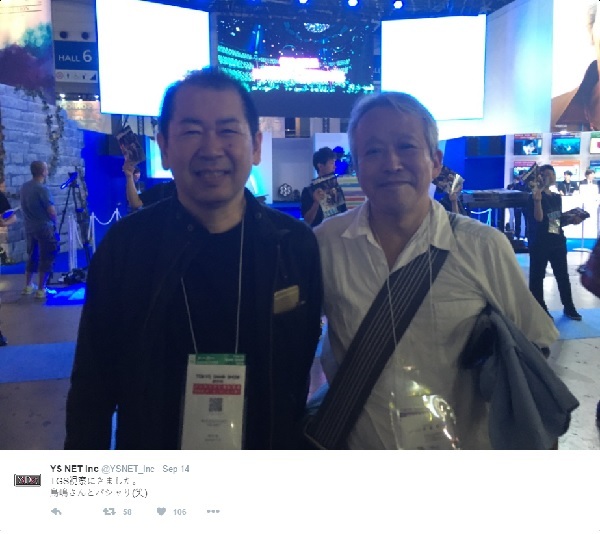 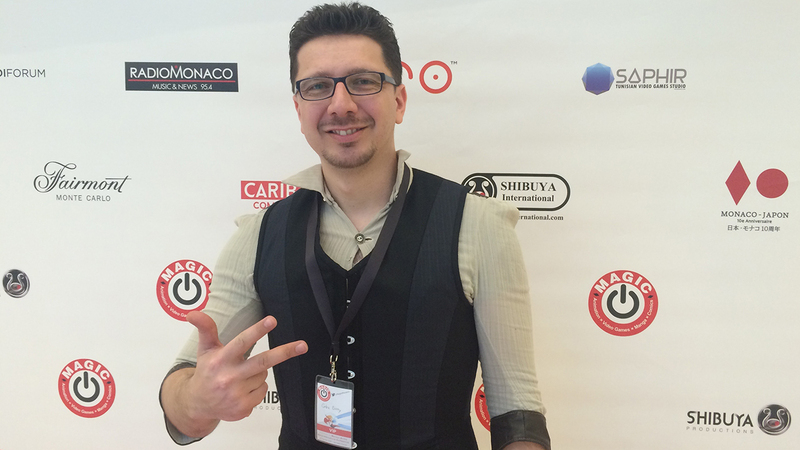 With the 2016 Tokyo Game Show in full swing, Yu Suzuki has also been out and about recently! 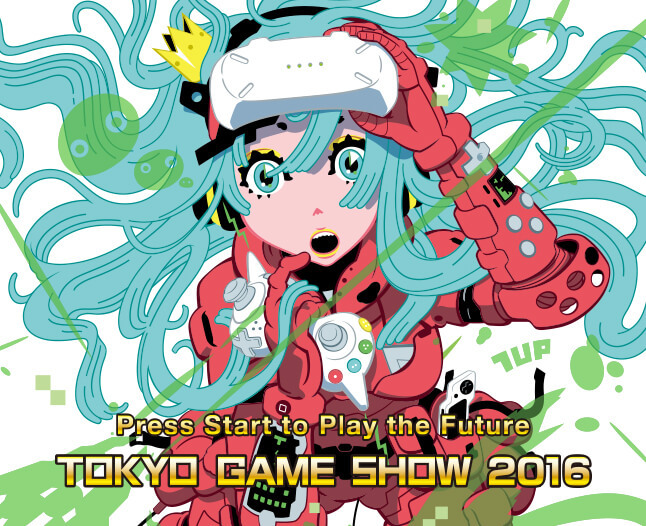 Suzuki's message: "Here to check out TGS. 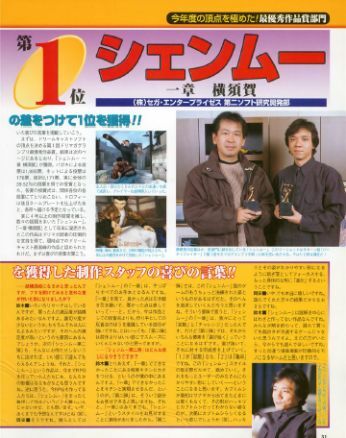 Snapped with Torishima-san :-)"
This is the 2nd part in a series of translations of an article that was published in the March 2000 edition of the Japanese Dreamcast Magazine ("Dorimaga") in which the results of the first "Dreamcast Magazine Grand Prix" were announced in which all released Dreamcast software titles competed against each other across several award categories. 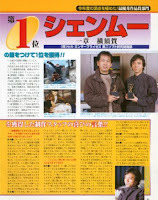 Part 1, the award for Best Title which also features an interview with Yu Suzuki, can be found here. Further translations / interviews to come for the remaining award categories in which Shenmue ranked. 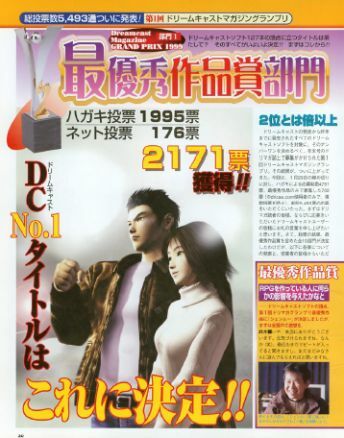 This time Shenmue claims first place in the category for Best Script. 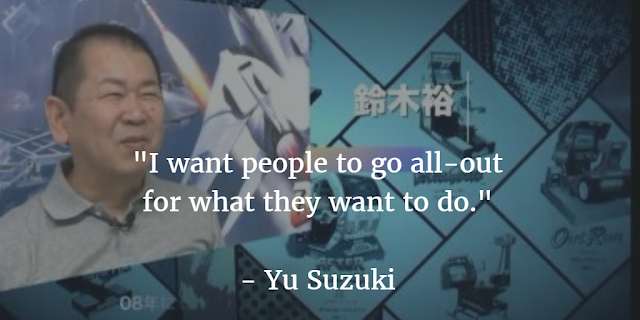 Read on for an interview with Yu Suzuki and Keiji Okayasu. 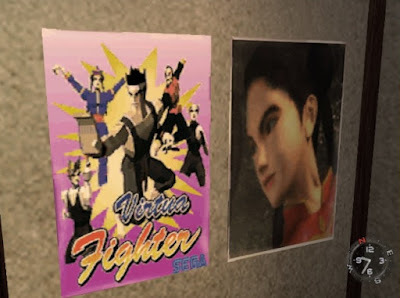 One of the aspects of the Shenmue games that I love, and one of the things that made the game stand out when it was first released, is the attention to details of real life that are portrayed. For me the accuracy of this depiction is particularly apparent when playing the first game in the series, with its setting of Japan. 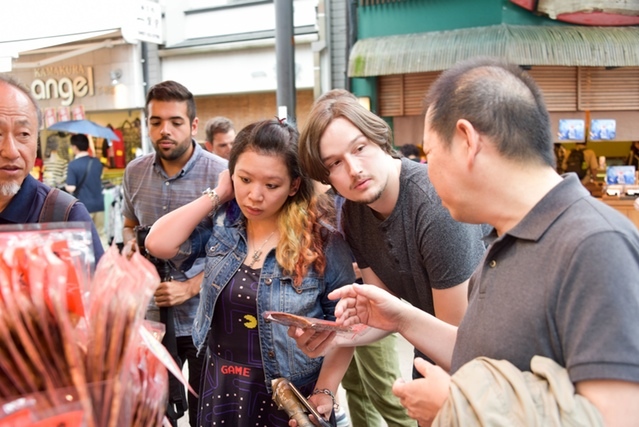 From time to time I'd like to highlight some of the subtle details that may not have any effect on the story but combine to give a genuine feeling of the life and culture of Japan back in the 1980s - and which in many cases are still a close picture of the society today. As you direct Ryo around his local neighborhood of Sakuragaoka, you may notice that a couple of the residences have washing machines sitting outside them. 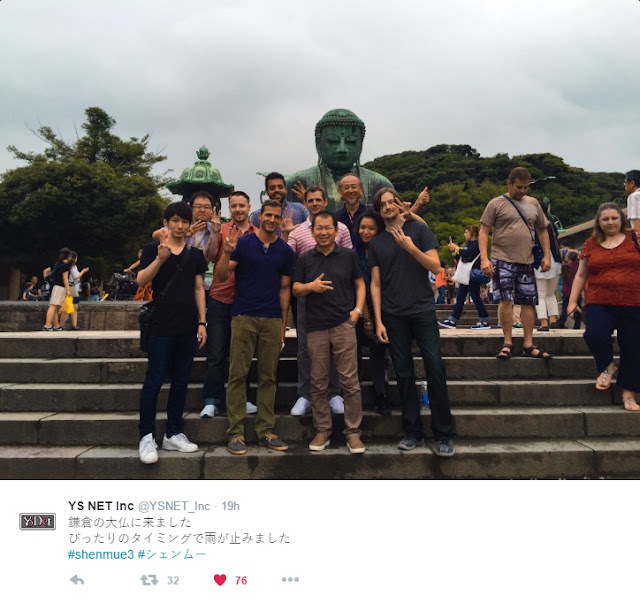 At an apartment building in Sakuragaoka. Oops, someone left the lid up. Let's take a trip back to early in the year 2000, soon after the release of Shenmue. 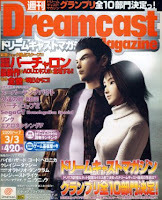 In the March 2000 edition of the Japanese Dreamcast Magazine ("Dorimaga"), the results of the first "Dreamcast Magazine Grand Prix" were announced in which all released Dreamcast software titles competed against each other across several award categories. 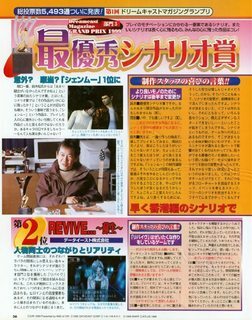 Here is a translation of the first part for the award of Best Title, in which Shenmue left the other titles dead in the water. Check out those youthful faces! 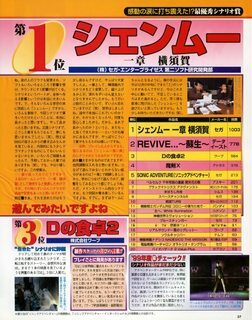 Shenmue also ranked in several of the other categories, with corresponding interviews which I will translate in future posts. 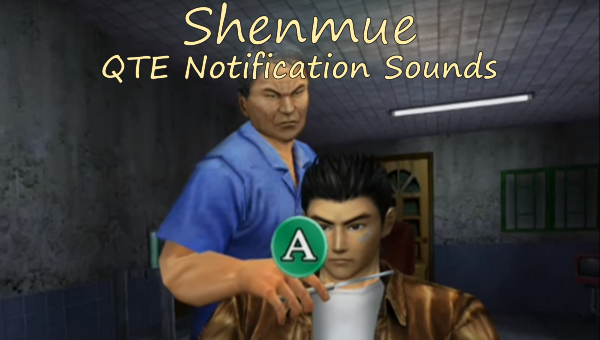 In the main, the English character lines in Shenmue sound reasonably natural - often with a deliberate touch of humor depending on the character. 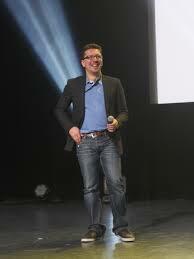 But it is interesting to spot the odd case that comes across as a bit awkward (or even puzzling). 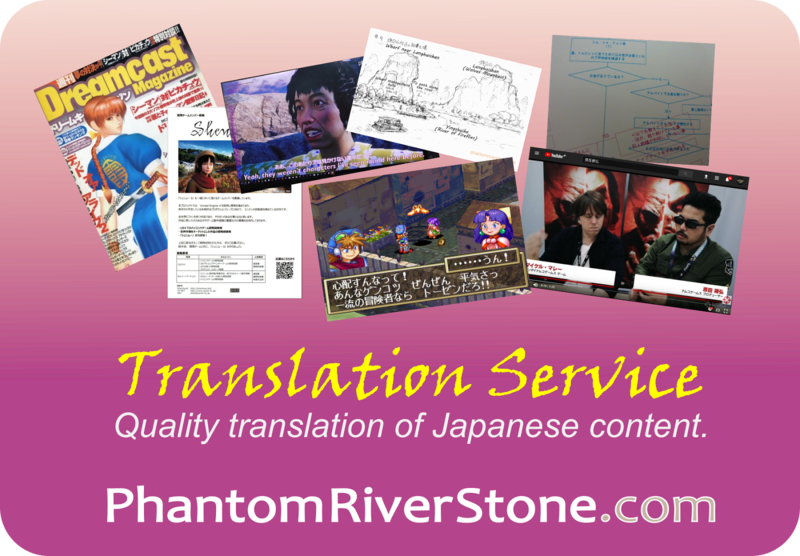 More often than not, this is due to having been translated a little too directly from the original Japanese. 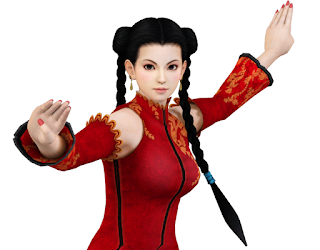 To show what I mean, let's consider a couple of English lines from Shenmue that sound slightly "off", and compare them with the original Japanese that these translations come from to find out how they compare. 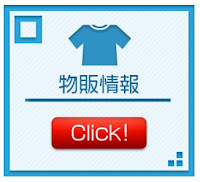 In this post we'll look at a first, simple example. I will avenge my father's death... but I'm getting kind of hungry. 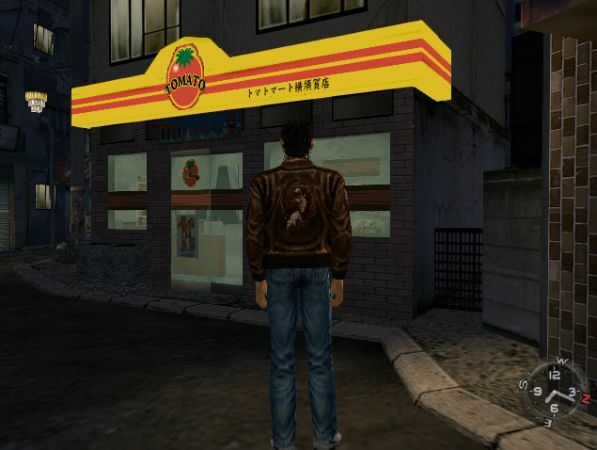 OK, here's the scene: the brightly-lit Tomato Convenience Store on the main street of Dobuita as dusk starts to settle in. 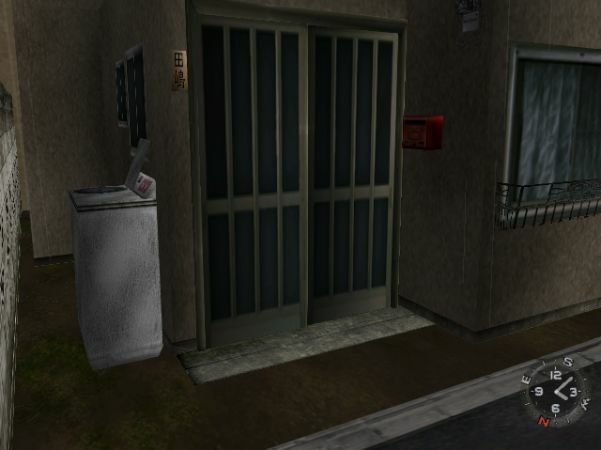 Ryo Hazuki, pausing before the automatic door, realizes that he has not eaten anything in a long while. He resolves to briefly put aside the quest to avenge his father's death in order to buy a snack. He steps up to the store's doors which slide open and the chirpy Tomato Mart theme greets him as he strolls inside.